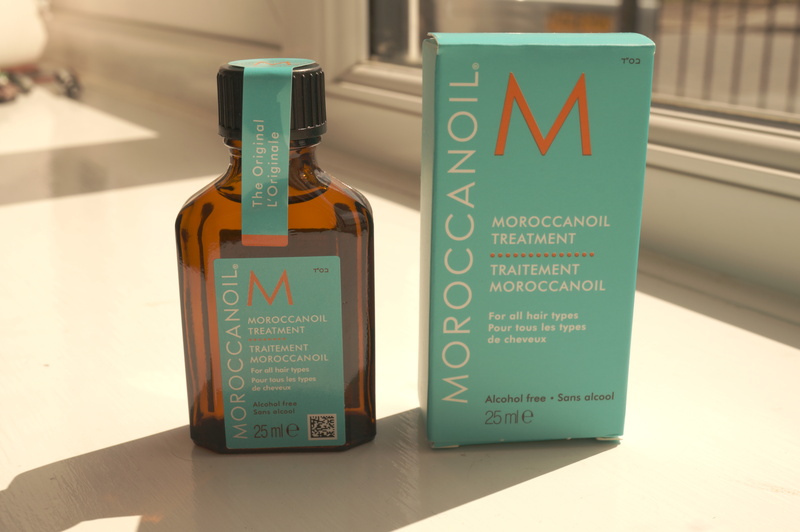 Today’s review is of something I’m sure you’ve all heard of – Moroccanoil Hair Treatment. I’ve been aware of this for a while but not actually had a chance to try it till recently. Unfortunately my hair is a bit of a sore subject, it’s not in great condition at all so I’m willing to try anything that might help! So firstly, a little bit of history behind the brand. Moroccanoil was founded by Carmen Tal – whilst travelling in Israel her hair became damaged after colouring, a friend then took her to a hair salon where she received an oil repair treatment for her badly damaged hair. She was so impressed with the treatment that she set up her own business to share the product with the rest of the world! So that’s enough about what it should do. What did I think? To be honest I was a bit dubious about putting oil on my hair, my hair is very fine and I just imagined looking like a greasy mess! I used a fairly small amount of oil (which smells divine by the way) and ran it through my damp hair after showering. After my hair had dried there was officially no greasiness! My hair felt softer and stronger and well conditioned. The scent wasn’t strong enough to hang around which is a shame, nevertheless this is definitely a great product, if your hair is a bit ‘knackered’ 🙂 you should definitely give Moroccanoil a go! You can purchase Moroccanoil here. Have you tried Moroccanoli? I’d love to hear your thoughts! Makeup To Make Your Blue Eyes POP! Previous Post New Look Festival Fashion Wishlist! I SWEAR by this stuff!